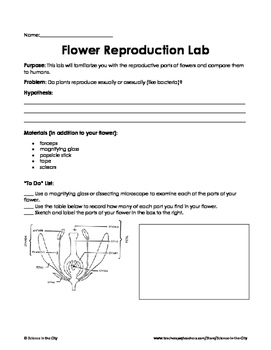 This product includes two versions of a flower reproduction lab. One version is a more traditional lab, and the other is slightly more open-ended, or inquiry based. 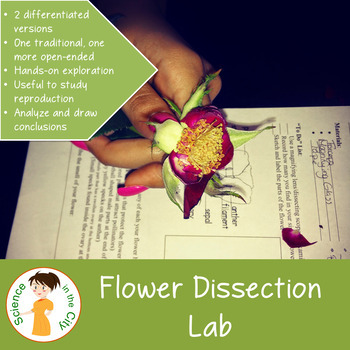 Both versions allow for hands-on examination of the parts of a flower and how they reproduce, and then ask analysis questions and ask the student to draw conclusions about their findings. This product also includes suggested classroom uses, additional links, etc. 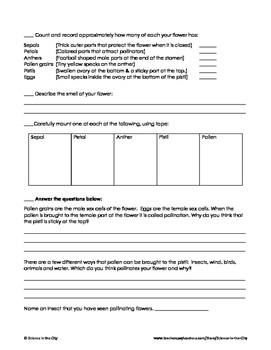 After completing this activity, students will understand how flowers reproduce, and be able to identify the parts of a flower.